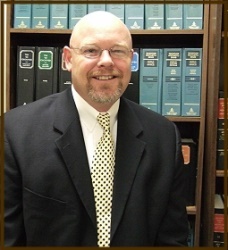 R. Brent Curd, Jr. graduated from the University of Alabama College of Commerce and Business Administration in 1988. Three years later he earned his degree from the Stetson University College of Law in St. Petersburg, FL. He has been a member of the State Bar of Georgia since 1995 and a member of the Florida Bar since 1995. He spent six years as a prosecutor in one of the busiest jurisdictions in the country, Broward County, Florida. In his time there Brent prosecuted over 200 jury trials concerning everything from D.U.I. and other misdemeanors to second degree murder. Brent now concentrates his practice on the defense of al types of criminal and traffic matters as well as divorces, modifications in child custody, child support and alimony, guardianships, personal injury actions, business formation and general corporate work as well as general defense of civil matters. Brent has practiced in both state and federal courts and is a member of the Cobb County Bar Association and the Acworth Business Association. 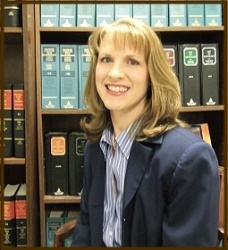 Stephanie S. Curd graduated from the University of Alabama College of Commerce and Business Administration in 1989 and the Georgia State University College of Law in 1994. She has been a member of the Florida State bar since 1994 and the State Bar of Georgia since 1995. She spent ten years concentrating on the defense of law enforcement and governmental entities in civil rights, employment discrimination and constitutional litigation. Four of those years were spent as an Assistant Attorney General for the State of Florida, defending the State of Florida and state employees from civil rights and employment discrimination lawsuits and statutory challenges. With a background in accounting and business, Stephanie now focuses her practice on general business law, wills, living wills, estate planning and probate matters as well as personal injury and automobile accident litigation. Stephanie has practiced in both state and federal courts. She, too, is a member of both the Cobb County Bar Association and the Acworth Business Association. Brent and Stephanie live and are raising their family of three children in the Acworth area.